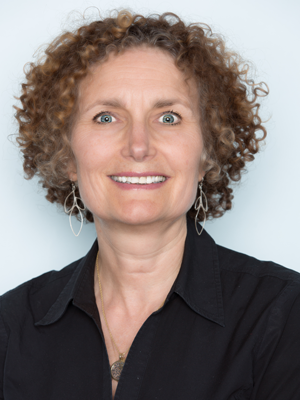 Suzanne Rosenfeld, MD, is co-founder of West End Pediatrics, a private practice in New York City. Formerly, she directed the Pediatric Emergency Room and also supervised in the Adolescent Medicine training of pediatric residents at The New York Hospital/Cornell Medical Center. Dr. Rosenfeld maintains an active teaching career at Cornell Medical Center and Columbia College of Physicians and Surgeons. She sat down with us to give our users a some expert advice on the difficulties of vaccinations and some tips to use with patients. MDCalc: What are some of the challenges you face when trying to vaccinate patients? How do you overcome these challenges? Suzanne Rosefeld: The vast majority of my patients understand the importance of childhood vaccines. Before vaccinating each child I explain what the vaccine I am recommending is for. In the cases where there is hesitancy I make sure I answer every one of their questions. I listen to their concerns and address, using hard scientific evidence in terms of risk/benefit, each issue. MDC: What are some of the most common cases in which you do not vaccinate patients? SR: I do not vaccinate a child if they are at the beginning of an illness, even if its “just a cold”. Vaccines do not “make one sick” (with the exception of the live virus vaccines) but can “distract” the immune system. I am privileged by having a very responsible parent body and find that they 1) appreciate my considerations and, more importantly, 2) return at the recommended time to get the deferred vaccines. In terms of the MMR I always ask if they are going to be “in town” during the window of the MMR reaction which is 5-12 days from the vaccine administration. The child could have a significant fever or other symptoms that might interfere with a vacation in a significant way. Obviously if the family is going somewhere where there is a risk of an outbreak of the viruses the vaccine covers I do go ahead and vaccinate the child. Finally, there are a handful of patients who refuse some or any vaccines. I do not ask them to leave my practice. I give them as much information as possible and work with them. I have found, over the years, that the vast majority of those few patients ultimately vaccinate their children. To read the entire interview, head over the Immunization Awareness Month page.